All children aged 5 - 10 years old participate in a positive introduction to netball incorporating skill activities and games and modified matches. Our enthusiastic committee members will ensure all participants have an enjoyable experience whilst developing fundamental netball skills delivered in a fun and safe environment. Net Set Go starts at 9am and begins with warm up and basic skills followed by a modified game. 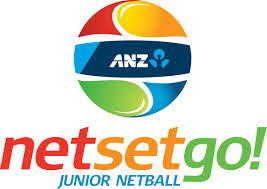 Girls in Year 3/4 may participate in the Net Set Go and the Junior Competition. Registration Day will be held on the 23rd Feb at the courts from 9am to 11am. Competition commences the 2nd March 2019. Registrations are now open for 2019.